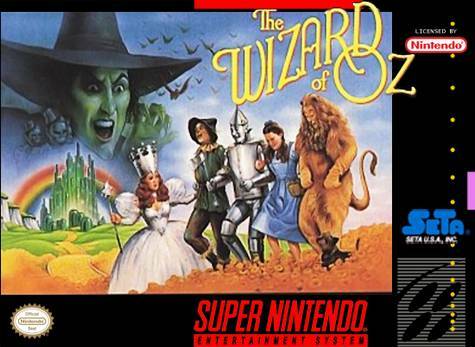 Based on the movie, Wizard of Oz for Super Nintendo allows you to control of Dorothy, The Scarecrow, The Tin-Man, and The Cowardly Lion as they embark on 31 levels of action and excitement. The will have to explore everything from burning deserts to crystal halls. If this foursome is to survive, they must solve a variety of puzzles and navigate mysterious mazes. The action of the game is intensified with 13 different soundtracks including four from the film.